Superdry men’s Vintage Logo panel sweatshirt. 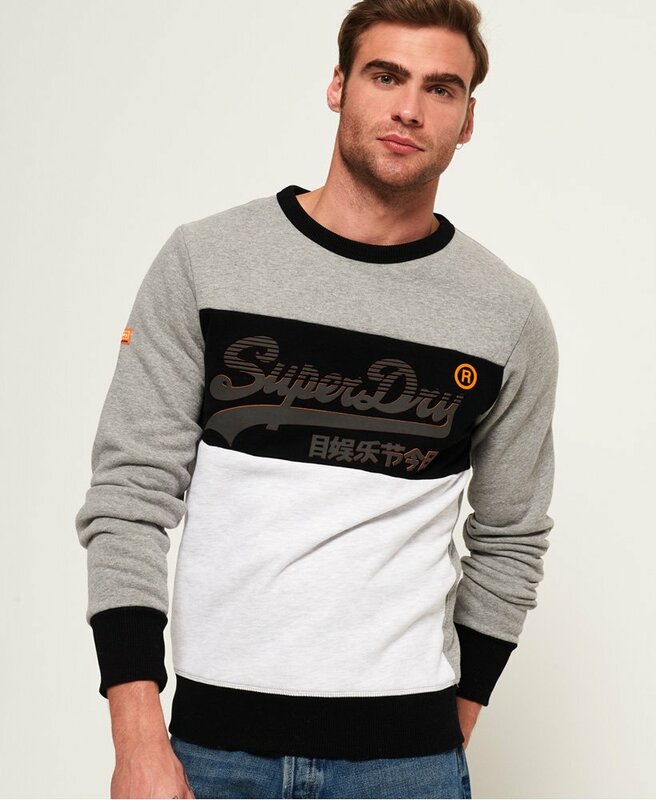 This sweatshirt features a panelled colour design, a large, rubber high-build Superdry logo across the chest and ribbed collar, cuffs and hem. The Vintage Logo panel sweatshirt is finished with an applique Superdry International logo badge on the sleeve and a signature orange stitch in the side seam.